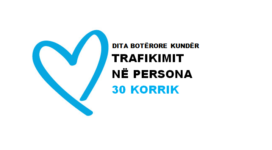 Mission: D&E is a nonprofit organization dedicated to providing high quality reintegration services for victims of trafficking, exploitation and abuse, and to improving the legal, institutional and social context to prevent and counter these violations of human rights. Rr: Fortuzi, Godina nr. 24, Hyrja nr.4, Apartamenti. nr.4 , Tiranë, Albania.